PLYMOUTH, Mich. - USA Hockey’s National Team Development Program on Thursday announced its 2018-19 promotional schedule, which features a number of giveaways and the return of many popular season-long promotions. The NTDP will begin its 36-game home schedule slate on Friday, Oct. 5 against the Madison Capitols with Welcome Back Weekend presented by TCF Bank. Promotions for the Welcome Back Weekend include a magnet schedule giveaway and $5 Friday tickets. Team USA’s other giveaways include a 2018-19 U.S. National Under-18 Team poster (Oct. 13), U.S. National Under-17 Team poster (Oct. 27), USA Hockey bobblehead (March 15) and Summer Drive-In tickets. In addition, the NTDP will introduce the Team USA trading card series giveaway that features current U18s players and a limited-edition alumni card over five home games (Dec. 1, Jan. 1, Jan. 8, Jan. 15, Feb. 1). $5 Fridays return to USA Hockey in 2018-19 with a total of 15 games. For each Friday home game, a limited quantity of tickets priced at $5 will be available in sections 105-110. The Pepsi Value Pack returns to the USA Hockey Arena lineup in 2018-19. Fans can purchase two or more tickets for $12 each that will also include a voucher for a Pepsi beverage, hot dog (or slice of pizza) and a lineup card. 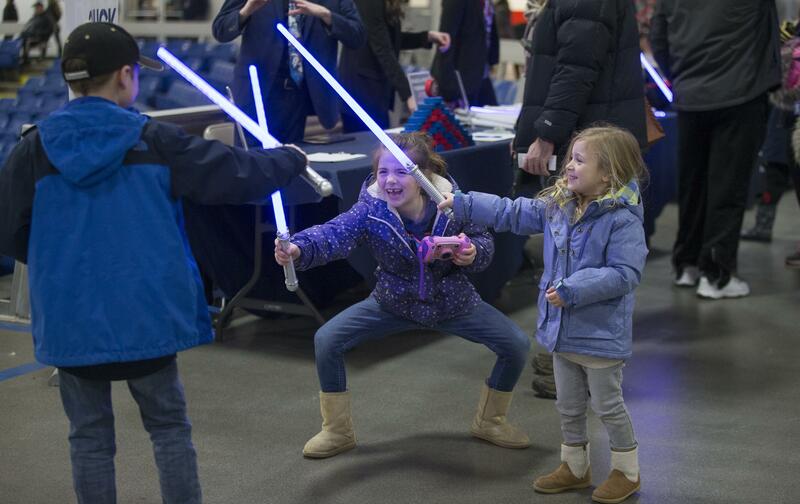 Team USA is proud to offer a wide assortment of family-friendly promotional nights that include Mascot Madness (Oct. 26), Carnival Weekend (Nov. 16 & 17), Kid’s Day Game (Dec. 19), Superhero Night (Jan. 4), Milk and Cookies Night (Jan. 11), and Star Wars Night (game date to be announced at a later date). New to the Team USA promotional schedule include 90’s Night Thanksgiving Eve Bash (Nov. 21), Social Media Night (Nov. 30), Yooper Day (Dec. 16), Jurassic Night (Jan. 12), Teacher Appreciation Dash for Cash (Jan. 25), Wizard Night (Feb. 15) and Detroit Sports Night (March 30). Meet and greet your favorite Team USA players with two select opportunities for each team during the season. The U18s will be signing post-game autographs at its home opener against the University of Minnesota on Oct. 13 and will partake in a post-game skate with the fans on its New Year’s Day showdown with the College of the Holy Cross. The U17s will sign posters on Oct. 27 and will skate with fans on Jan. 21. USA Hockey continues its tradition of community involvement events with Teddy Bear Toss Night (Dec. 8) to collect stuffed animals for local families in need during the holiday season, Pucks and Pups Night (March 16) to support local animal charities, and Military Appreciation Weekend (March 22 and 23) to honor, support and celebrate our veterans, active military and first-responders. New to the community lineup this year is Autism Awareness Afternoon (Oct. 28) that will feature an Autism-friendly game presentation, a sensory-free quiet room, and a special concession menu for the day. All promotions and dates are subject to change. 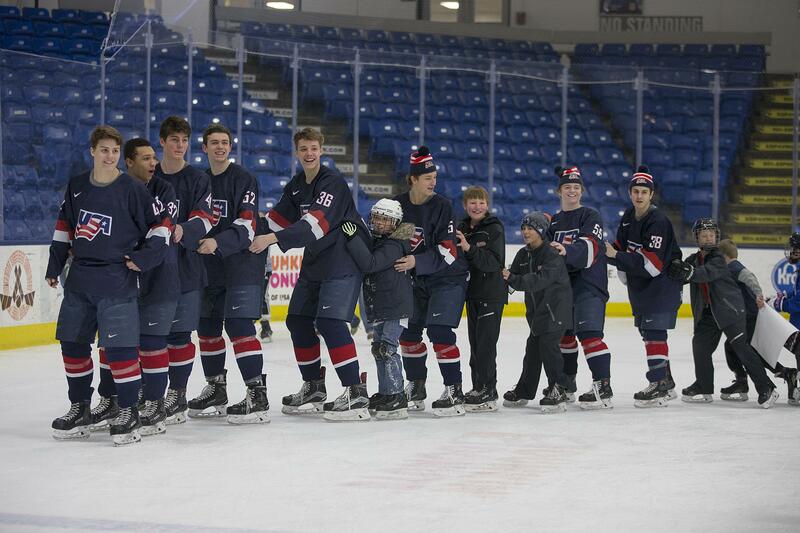 For more information visit USAHockeyNTDP.com/Promos or call the USA Hockey Arena box office 734-453-8400. Single-game tickets for all 36 regular season home games at USA Hockey Arena are on sale now.